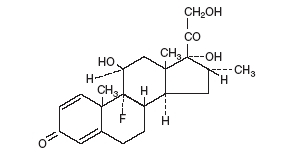 Chemical Name: Pregna-1,4-diene-3,20-dione, 9-fluoro-11,17,21-trihydroxy-16-methyl-, (11Î²,16Î±)-. 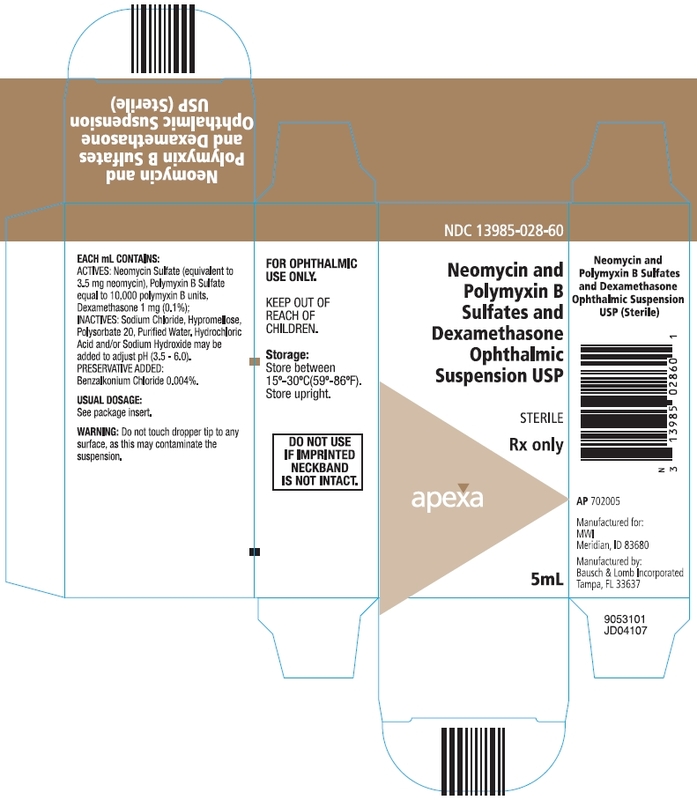 Each mL Contains: ACTIVES: Neomycin Sulfate (equivalent to 3.5 mg Neomycin), Polymyxin B Sulfate equal to 10,000 polymyxin B units, Dexamethasone 1 mg (0.1%); INACTIVES: Sodium Chloride, Hypromellose, Polysorbate 20, Purified Water. Hydrochloric Acid and/or Sodium Hydroxide may be added to adjust pH (3.5 â€“ 6.0). Corticoids suppress the inflammatory response to a variety of agents and they probably delay or slow the healing. Since corticoids may inhibit the bodyâ€™s defense mechanism against infection, a concomitant antimicrobial drug may be used when this inhibition is considered to be clinically significant in a particular case. Ocular steroids are indicated in inflammatory conditions of the palpebral and bulbar conjunctiva, cornea, and anterior segment of the globe where the inherent risk of steroid use in certain infective conjunctivitis is accepted to obtain a diminution in edema and inflammation. They are also indicated in chronic anterior uveitis and corneal injury from chemical, radiation or thermal burns, or penetration of foreign bodies. The particular anti-infective drug in this product is active against the following common bacterial eye pathogens: Staphylococcus aureus,Escherichia coli, Haemophilus influenzae, Klebsiella/Enterobacter species, Neisseria species, Pseudomonas aeruginosa. The initial prescription and renewal of the medication order beyond 20 mL should be made by a physician only after examination of the patient with the aid of magnification, such as a slit lamp biomicroscopy and, where appropriate, fluorescein staining. If signs and symptoms fail to improve after two days, the patient should be re-evaluated. Long-term studies in animals to evaluate carcinogenic or mutagenic potential have not been conducted with polymyxin B sulfate. Treatment of cultured human lymphocytes in vitro with neomycin increased the frequency of chromosome aberrations at the highest concentration (80 µg/mL) tested. 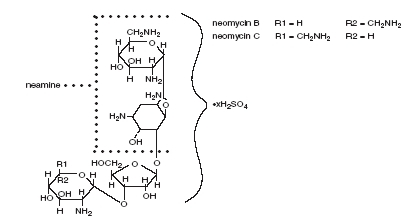 However, the effects of neomycin on carcinogenesis and mutagenesis in humans are unknown. Adverse reactions have occurred with steroid/anti-infective combination drugs which can be attributed to the steroid component, the antiinfective component, or the combination. Exact incidence figures are not available since no denominator of treated patients is available. One or two drops topically in the conjunctival sac(s). In severe disease, drops may be used hourly, being tapered to discontinuation as the inflammation subsides. In mild disease, drops may be used up to four to six times daily. Store between 15°-30° C (59°-86° F). Store upright.